Kosem Sultan launched on Urdu1 became one of the most popular Turkish shows in Pakistan. After the success of season 1, season 2 was launched on 24th July and is now reaching its climax. 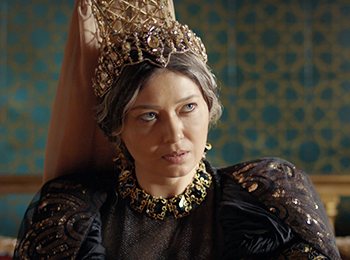 After the demise of Sultan Murad IV, Kosem Sultan has managed to throne her last son Ibrahim as the Sultan of Turkey while keeping all the power in her hand. Things were going smooth until the conspiracies began in the palace, which led to a drift between Kosem Sultan and her son Sultan Ibrahim. Will Kosem Sultan be able to regain power and salvage herself or will this be the end of the era of Kosem Sultan? Baaghi becomes the most loved drama worldwide which dealt with a very sensitive topic and touched the audiences’ heart, recently bagging three major awards at IPPA i.e. 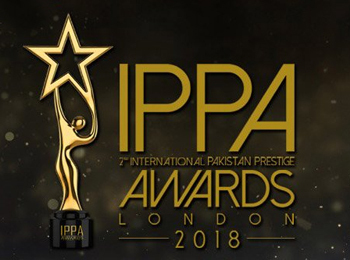 International Pakistan Prestige Awards 2018! Saba Qamar played the character of the bold Kanwal Baloch with utmost perfection that such a performance will be remembered by all for years to come. Ali Kazmi who played the role of Abid was presented the Best Supporting Actor who with his flawless acting made Abid’s character come to life. The award of the Best Drama Serial was awarded to Baaghi which was received by the Producer Ms. Nina Kashif. There are hundreds of Dramas coming in and showing various concerns of this society. However, there are very few that actually starts and ends leaving a strong impact on everyone. Showing the harsh reality of the society is always risky because objectifying the message can sometimes leave unfilled fissures for criticism and bad reviews. Thus came the Drama Baaghi portraying the actual events of honor killing that took place a year ago taking the life of an internet star. And Saba Qamar played the lead role as Fouzia Batool later turned into Kanwal Baloch in this Drama revealing the life of the person who was victim of condemning and bashing in our society strangled to death by her brother. The heated drama concluded on a sad note of how Kanwal Baloch was strangled to death by her brother. It turned out to be a major hit among the audience tearing them into emotions that successfully related to the actual occurrences of honor killings. With that came the most awaited event of the year Lux Style Awards 2018 on 21st of Feb, having all the magnificent stars of showbiz dazzling together trailed by plenty of performances and lots of entertainment. Out of so many nominees for major talents and dramas of the industry Baaghi made it possible to bag 3 notable awards: Indeed it is a prominent achievement for Baaghi and all its team members. And a big round of applause and appreciation to this well-deserving lady of talent. Certainly she pulled out her best acting skills in this drama and deserves every bit of praises. 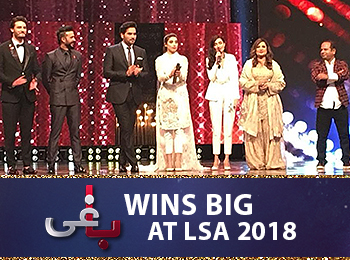 Congratulations to the whole Team of Baaghi and Urdu1 on this win.